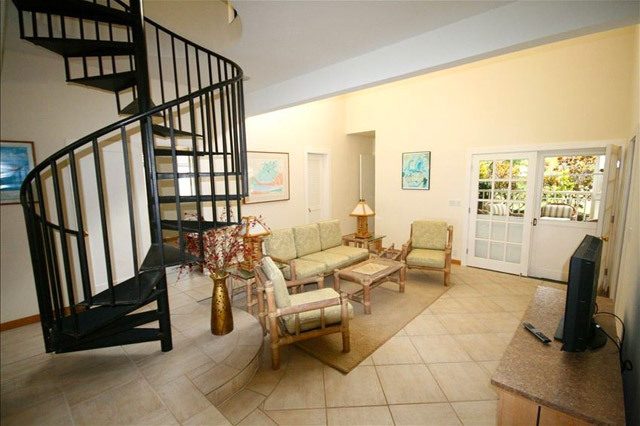 Cool tile flooring throughout this tastefully decorated casual retreat—complete with all the modern amenities. 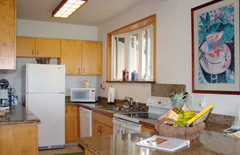 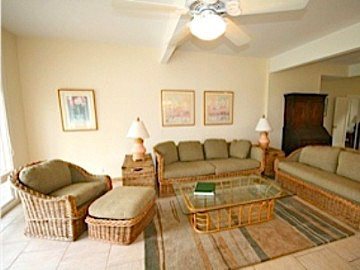 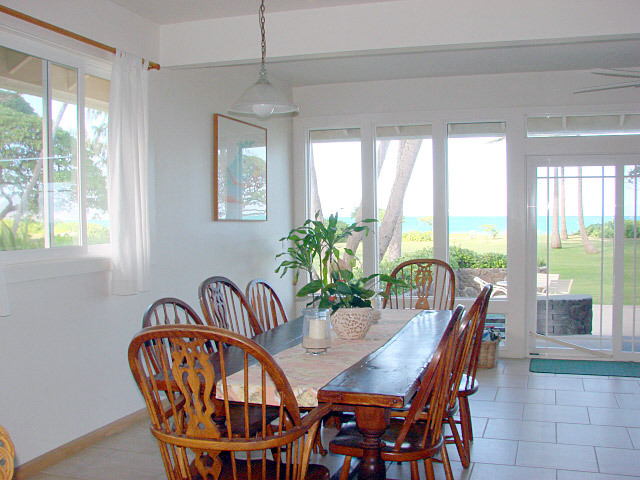 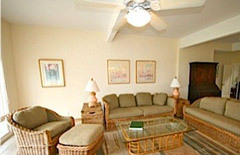 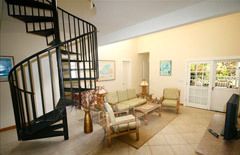 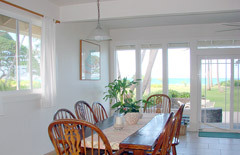 Relax in the large ocean view living room or prepare your meals in the gourmet kitchen. 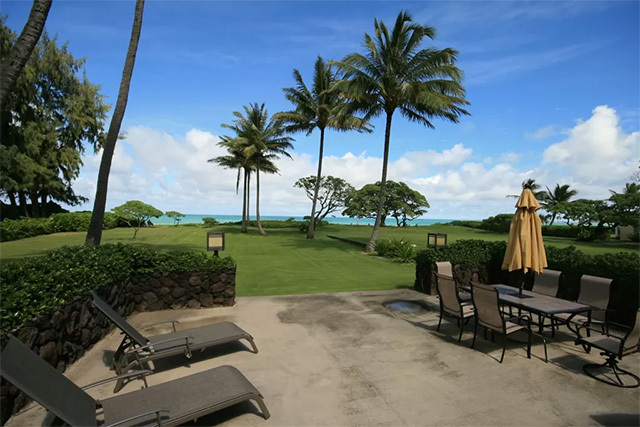 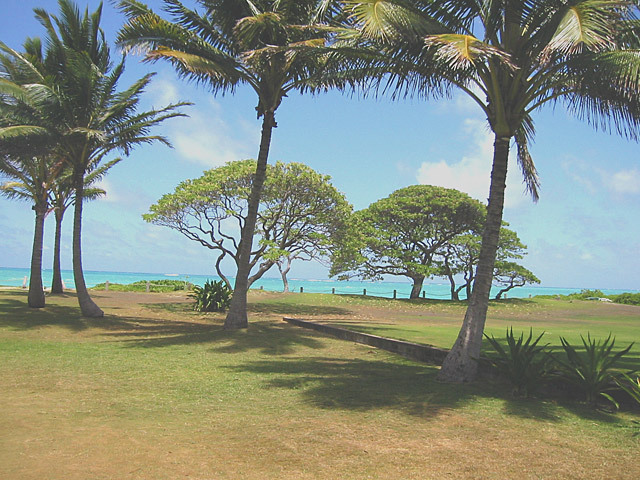 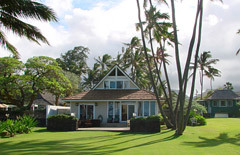 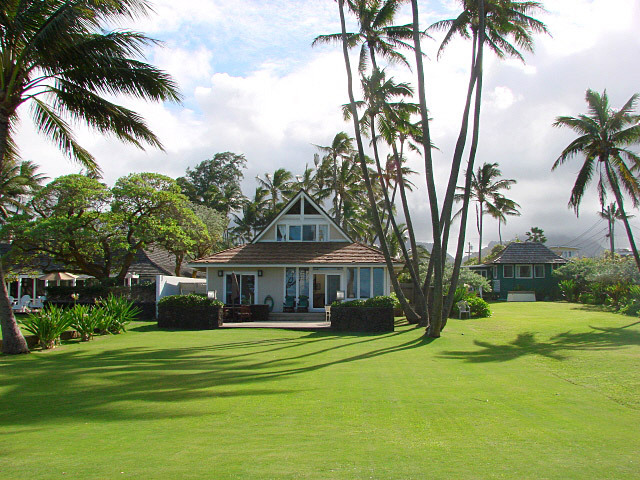 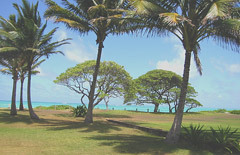 Lush grassy lawn area fronting Kailua Beach. 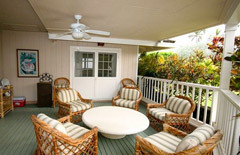 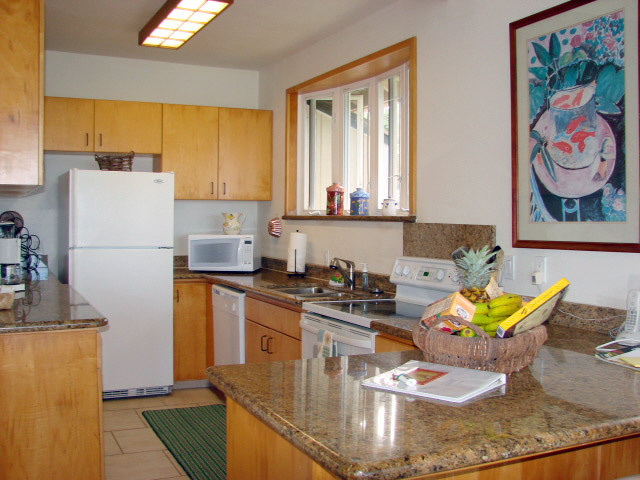 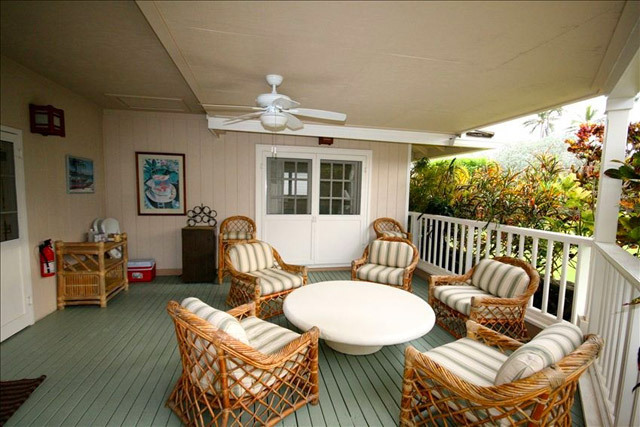 Perfect for indoor / outdoor living with lots of windows throughout the home to enjoy the tropical island breezes.